According to a recent news article from WFTV 9, I-95 in Florida was shut down after a multivehicle crash that resulted in the death of a semi truck driver. State police are reporting that the truck driver lost control of his vehicle and hit a crash attenuator. A crash attenuator is a crushable device (usually painted yellow and black) that is placed on the end of a guardrail or other gouge point on a highway that is designed to absorb impact and help protect occupants of vehicles that hit the device. Witnesses say that when the truck hit the barrier, the trailer swung around and blocked all northbound lanes of the interstate, causing traffic to come to a standstill. Another truck driver did not stop in time and crashed his truck into five cars stopped at the scene, and then crashed into another tractor trailer. After the impact from the second truck, three additional vehicles were struck in the chaotic crash scene, and the semi truck that had hit them burst into flames. The driver of the truck that failed to stop for the accident was killed in the fire. At this point, two other vehicles caught fire, but the occupants of those vehicles were able to escape. Several people involved were taken to local hospitals with non-life threatening injures. 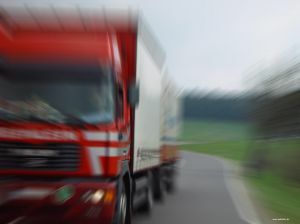 As our Boston truck accident lawyers can explain, accidents that involve multiple vehicles are likely to have a complex discovery process prior to settling the case or going to trial. In the context of a civil lawsuit in the Commonwealth of Massachusetts, the discovery process involves the sending of various legal pleadings and requests to defendant’s attorney. One type of pleadings typically used in a car accident case is known as requests for admissions (RFAs). The RFAs are sent to the other side’s attorney and require defendants to admit or deny certain allegations. When served with a set of RFAs, the responding party must admit allegations, deny them, or, in some cases, state that there is not enough information to answer the question. The purpose for RFAs is to reduce the number of issues that are to be disputed during a trial and aid in the settlement of lawsuits. Another important part of the discovery process involves the taking or defending of depositions. Depositions involve questions being asked of a party or witness by the opposing counsel. There is no judge present, and the deposition is typically taken at one of the lawyers’ offices. There will be a court reporter making a transcript and sometimes a video camera. However, there will not be a judge to rule on any objections being made. The parties will typically make an objection on the record and address the issue at later court hearing. One of the most important things you can do if you are the victim of a car accident that is someone else’s fault is to try to get the names and contact information of any witnesses at the time of the accident. You may need these people to give testimony later, and they will be difficult and sometimes impossible to find if they leave without providing their contact information.